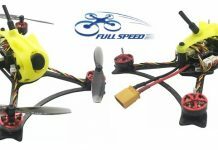 All you need: BetaFlight, OSD Buzzer, Status LED bar and Carbon fiber frame. 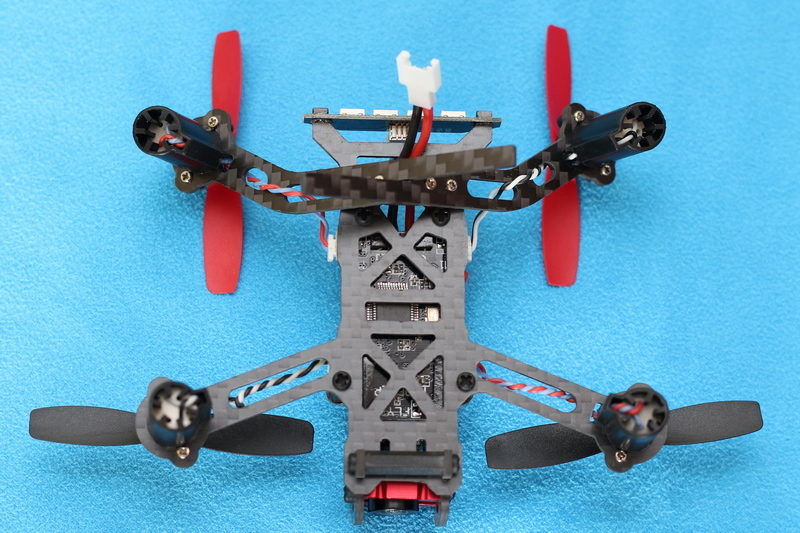 About a month ago I introduced this Eachine V-tail QX110 drone in the news section and now it is time for an in-depth review of this nice and versatile mini racer. 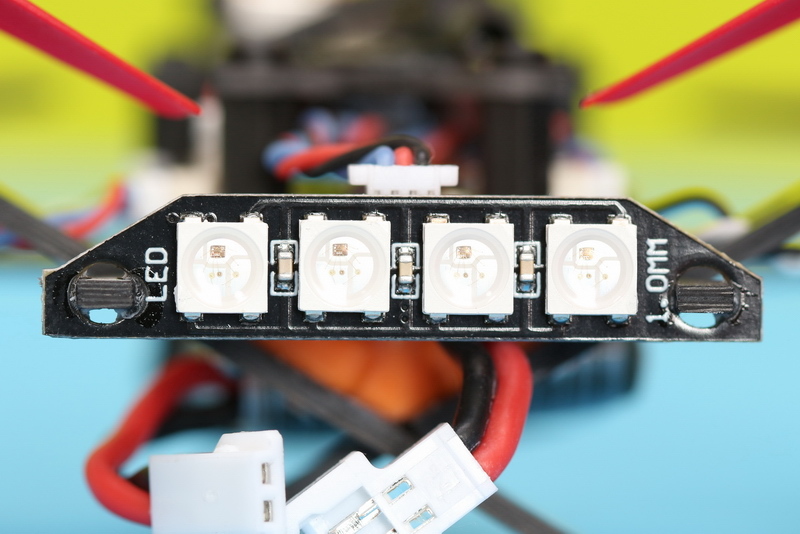 Compared to other micro FPV drones that I lately reviewed, the Eachine QX110 comes with OSD, buzzer and status LED bar. 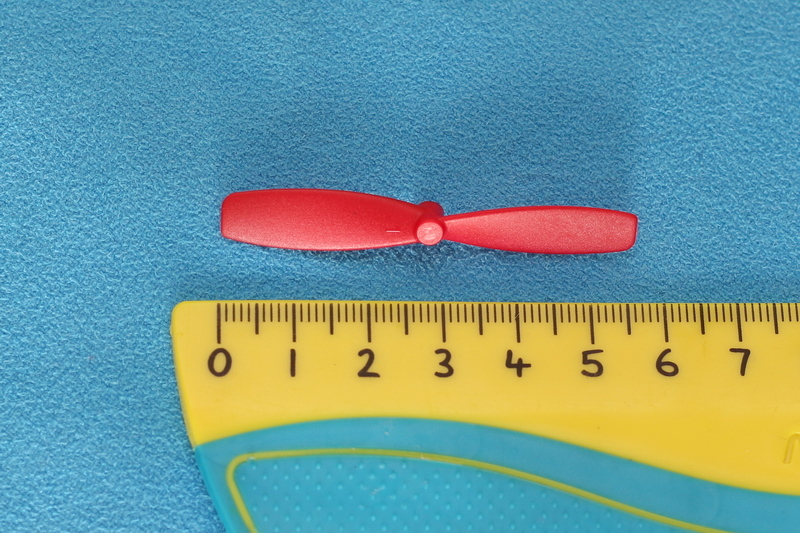 Unusual I may say, because these features are found only on larger multi-rotors. Frankly, I don’t know if the V-tail shape of the QX110 has any real impact on the flight performance or it is just to make the design more “spicy”. 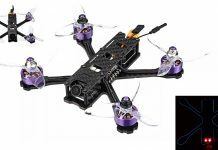 Like most of the Eachine brushed racers, the QX110 is also available with one of these radios: FrSky, FySky AFHDS-2A and Spektrum DSM2/DSMX. 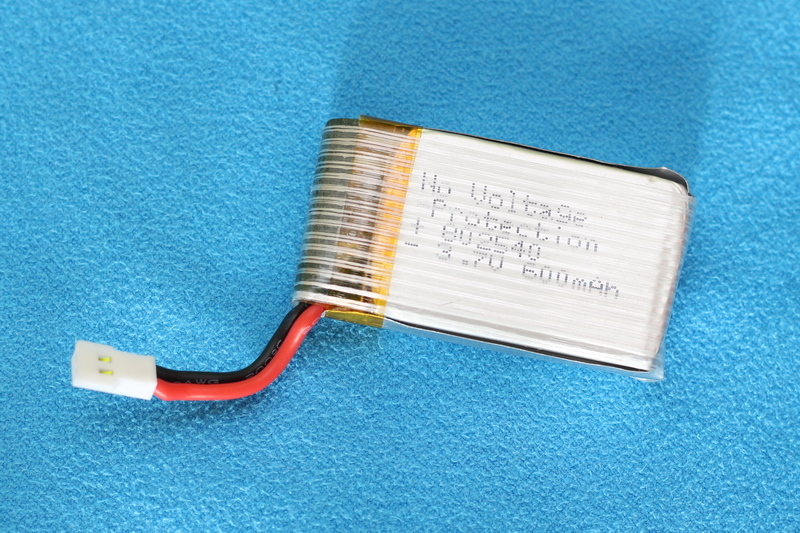 The RX module is integrated and can’t be replaced. 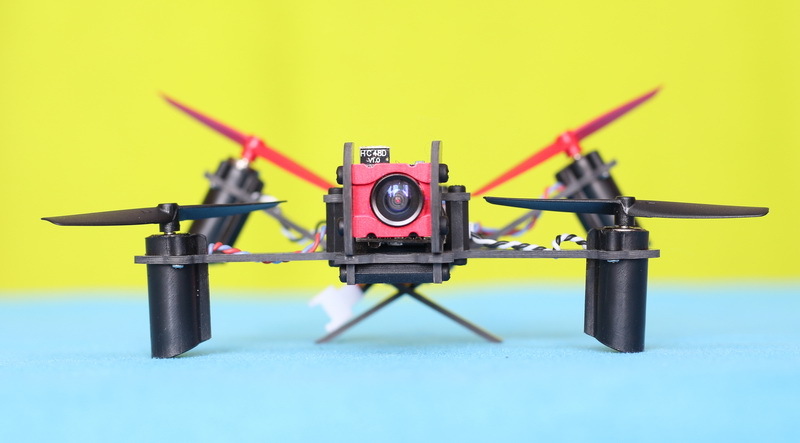 This drone have been provided through the courtesy of Banggood in order to make a honest review. 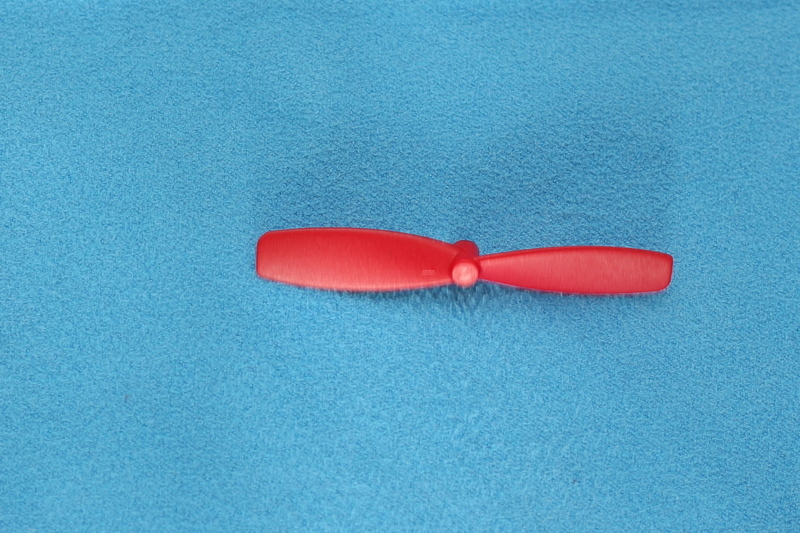 I would like to thank them again for their continuous support. 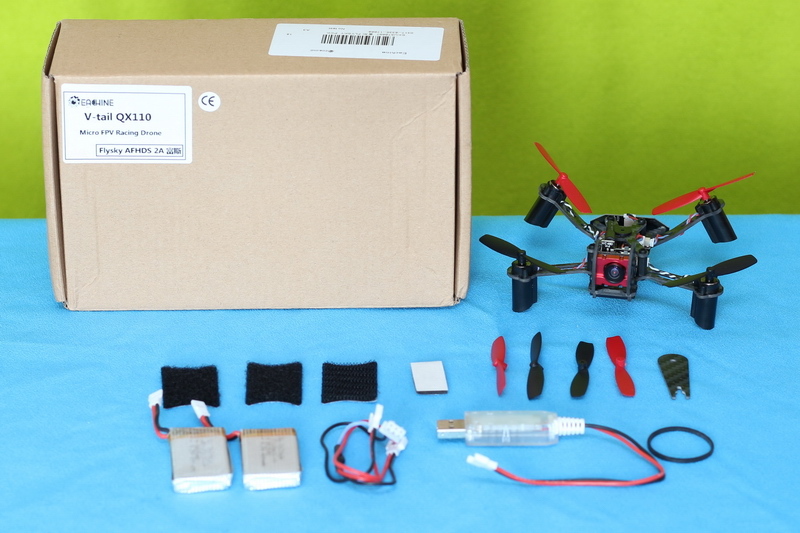 I received the package after about 3 weeks after we agreed on the Eachine QX110 review. 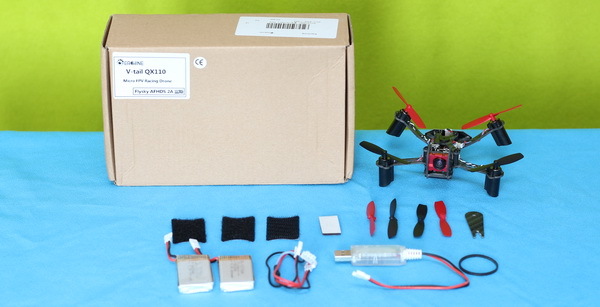 Pretty nice delivery time. 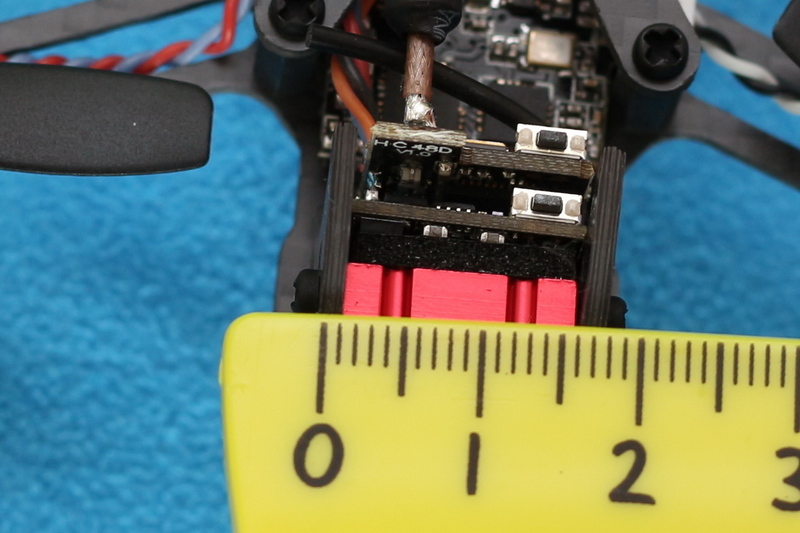 BTW, no spare motors included as the seller claims. 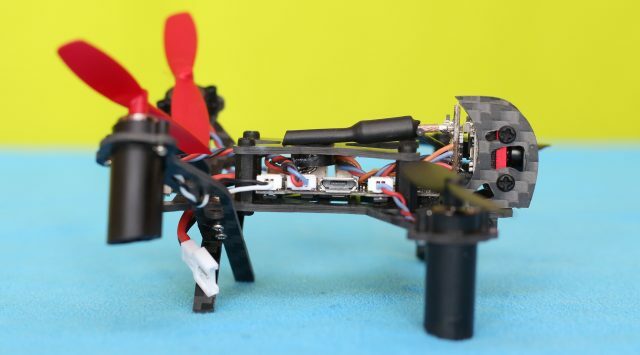 Although the frame is made from carbon fiber, I read that is very fragile and can break easily. 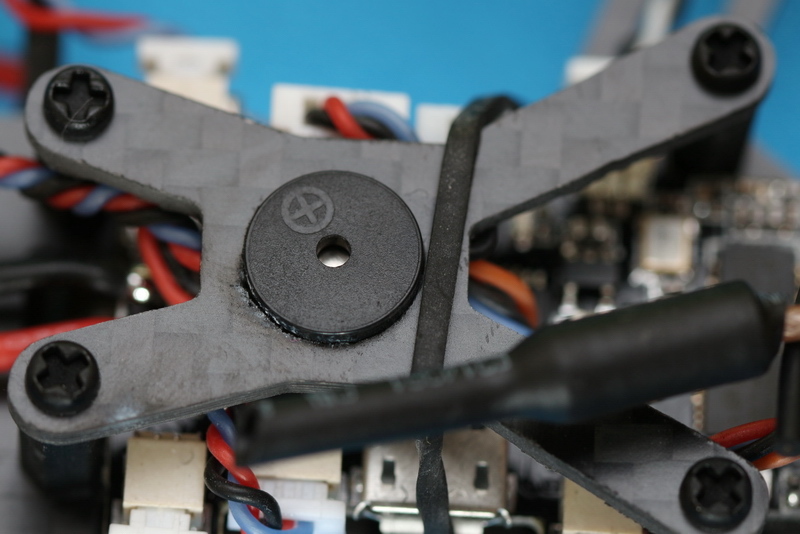 The V-tail system is achieved by “regular” arms (not bended ones) screwed together using an orange plastic part. 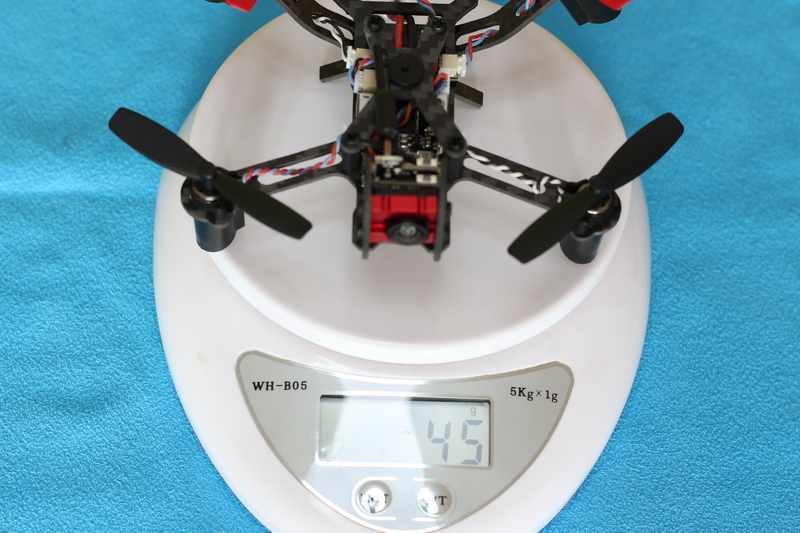 Total weight with loaded battery is about 45 grams. 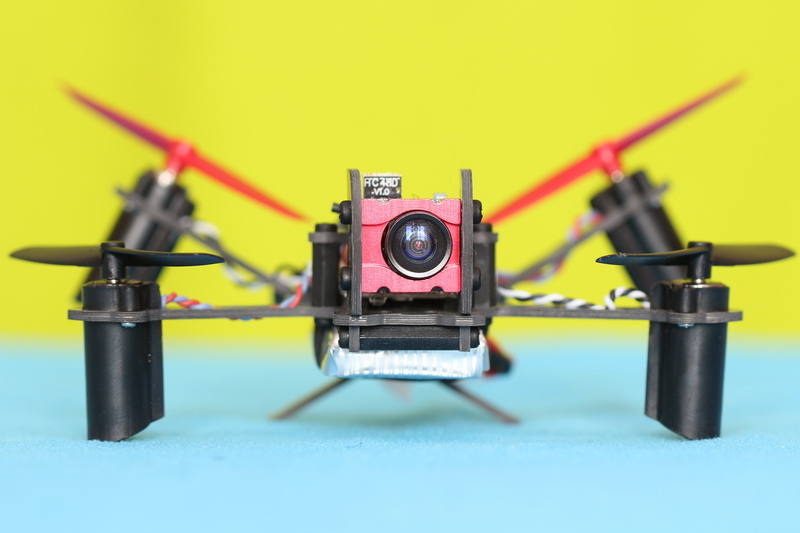 The AIO F3 PRO flight controller comes with BetaFlight firmware and integrated FlySky radio receiver (RX). 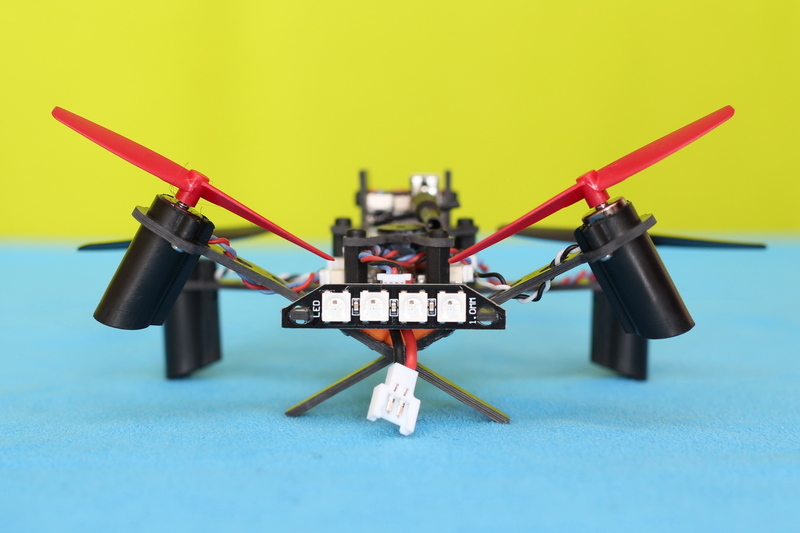 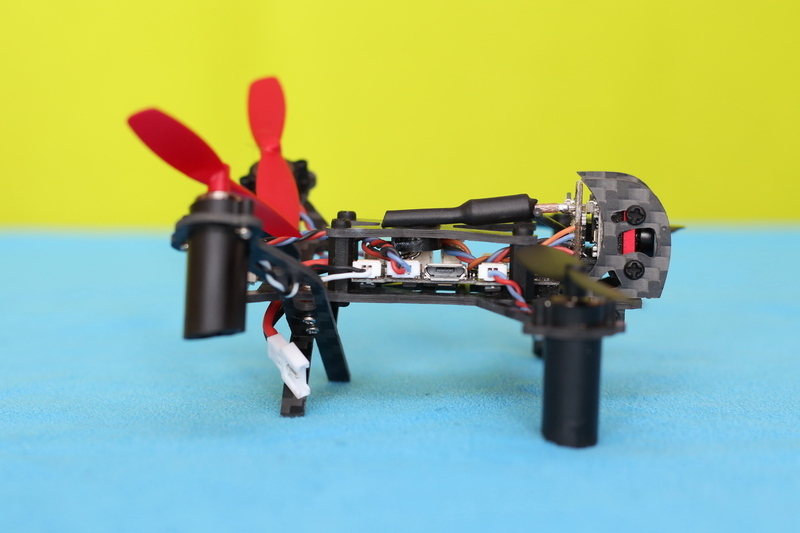 All 8500 coreless motors are linked to the flight controller through 1.25mm 2 pin micro-JST connectors, allowing soldering free motor replacement. 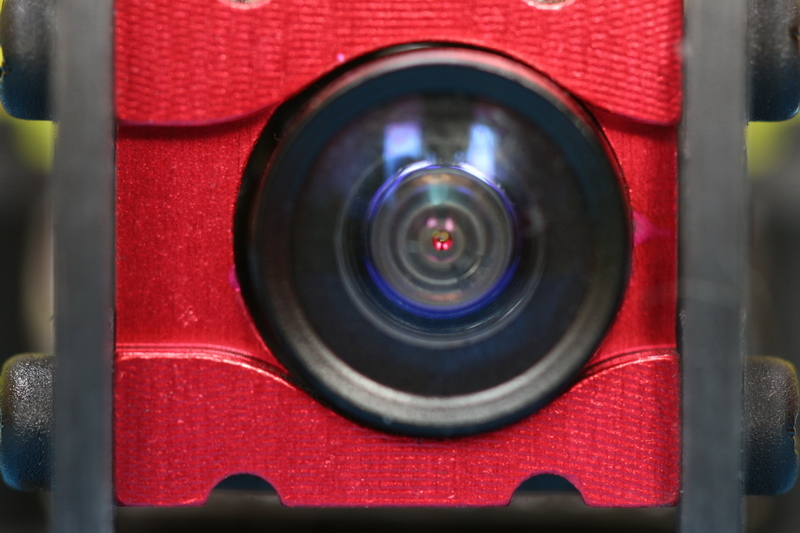 The tiny speaker (buzzer) is located in the center of the frame. 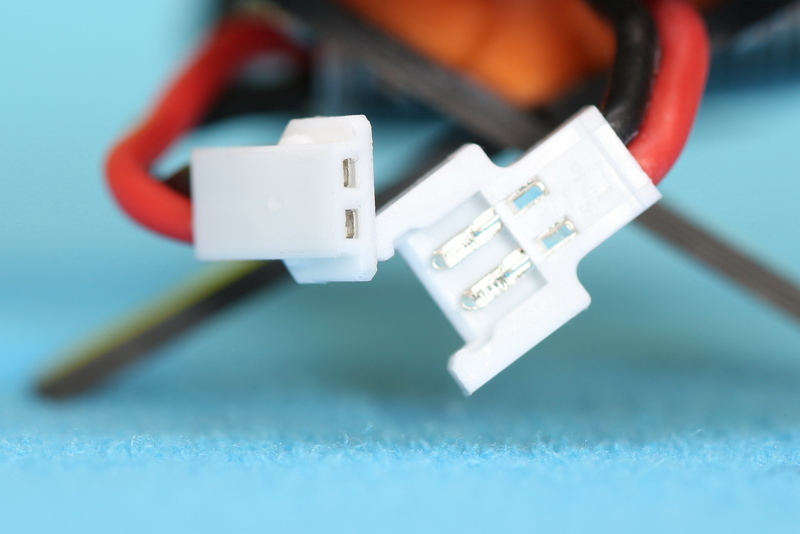 Similar to the Tiny QX95, this QX110 also features a programmable 4 LEDs status bar. 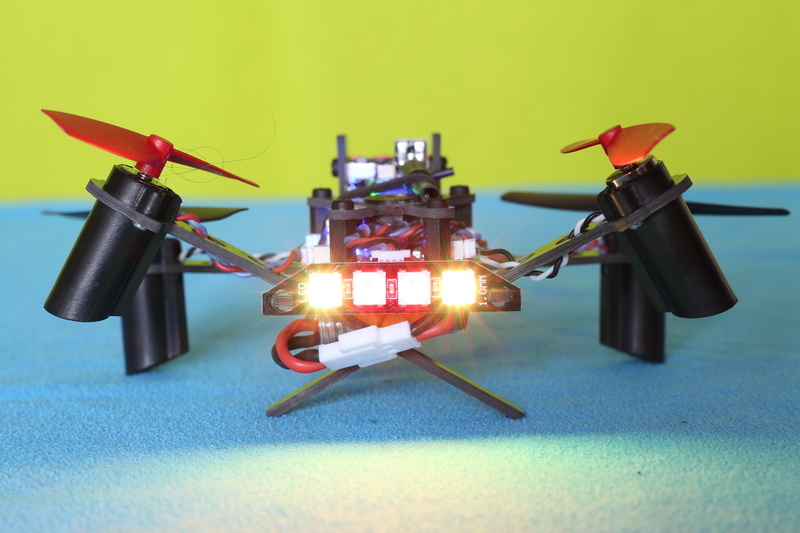 While the two external LEDs show turning direction, the inner ones show the throttle activity. 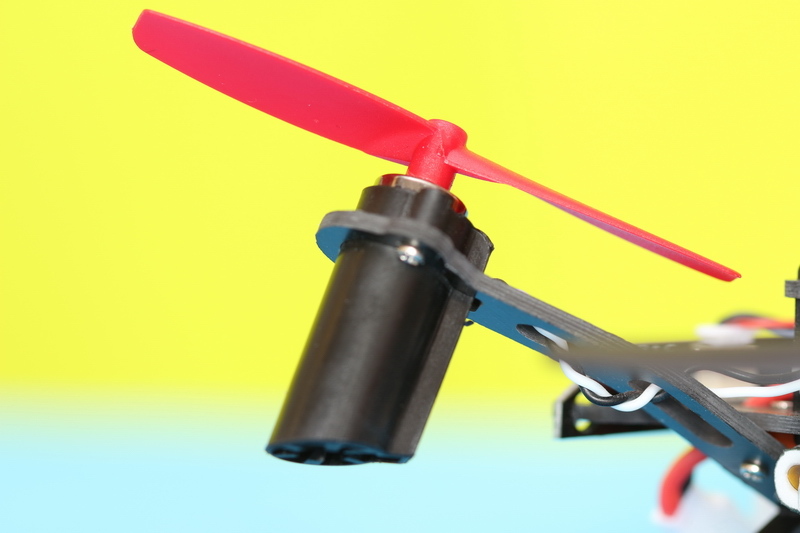 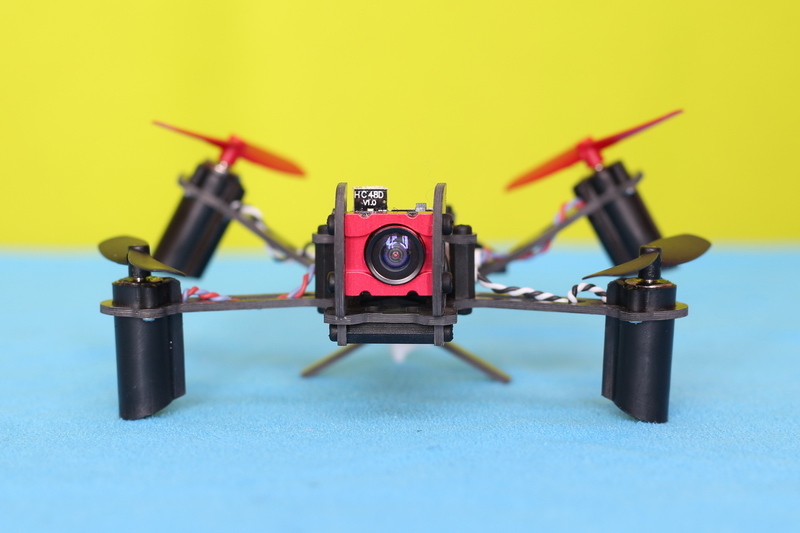 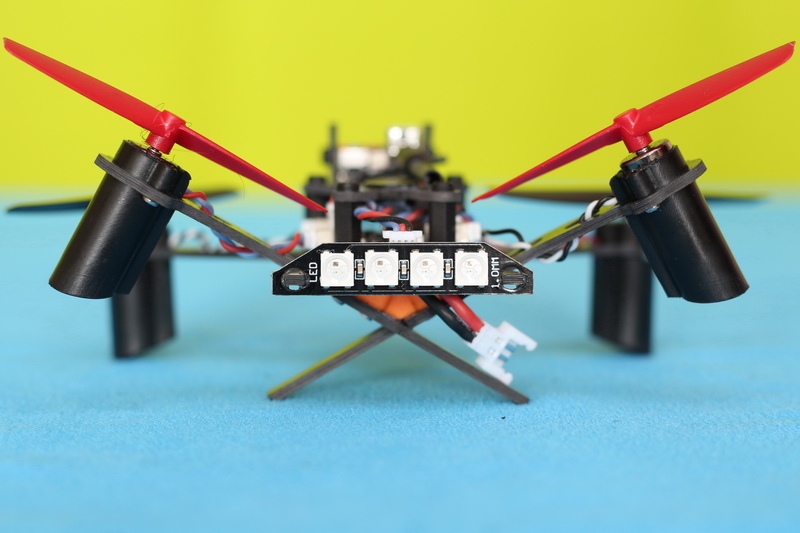 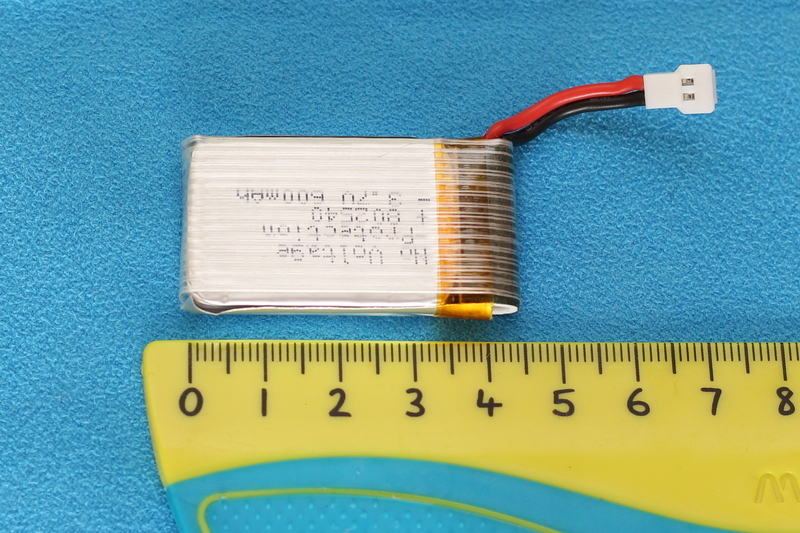 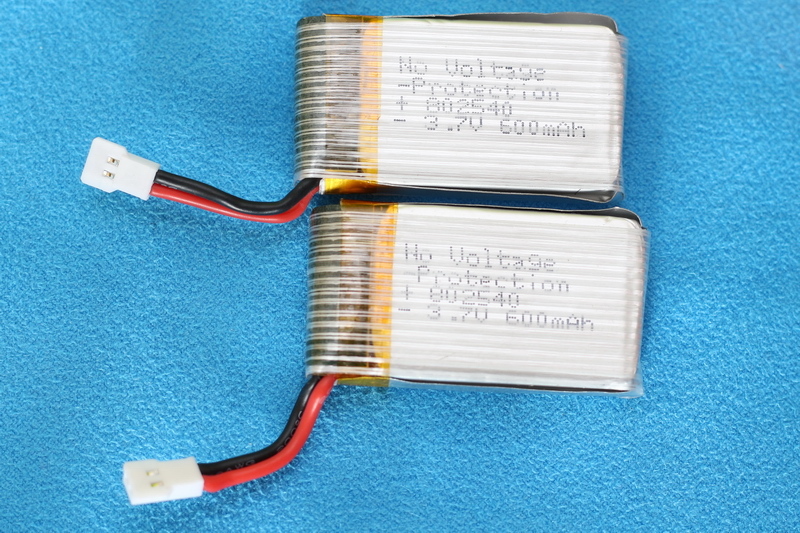 The 600mAh Li-Po can be attached under the drone using a rubber band or the included Velcro tapes. 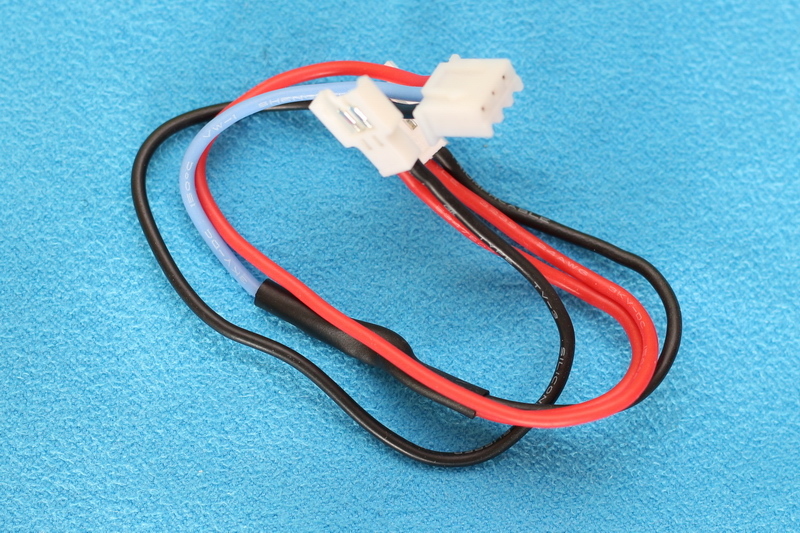 No power switch, just interconnect the two micro-LOSI connectors. 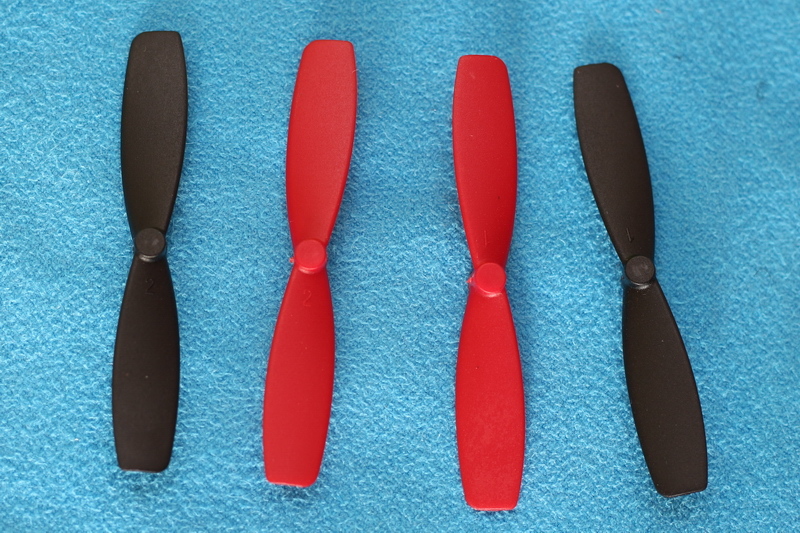 In order to allow better visibility on the position of the aircraft, front propellers are black and rear ones are red. 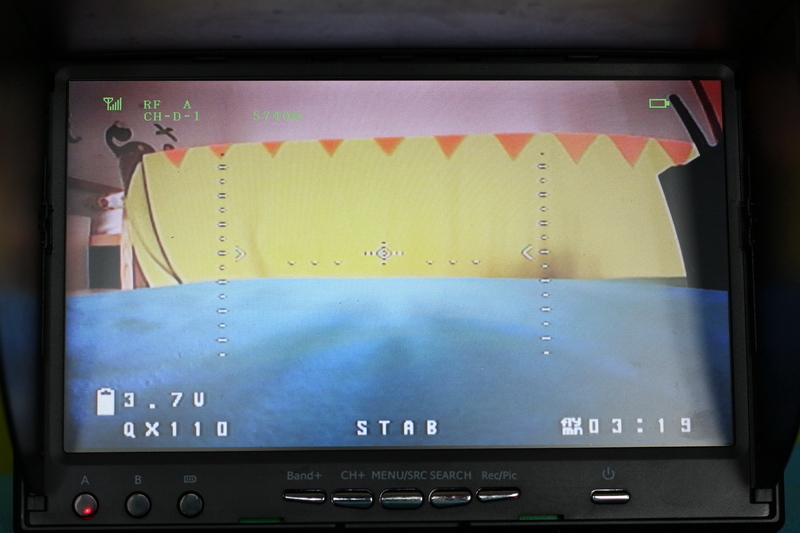 The 600TVL AIO camera is positioned in front of the aircraft. 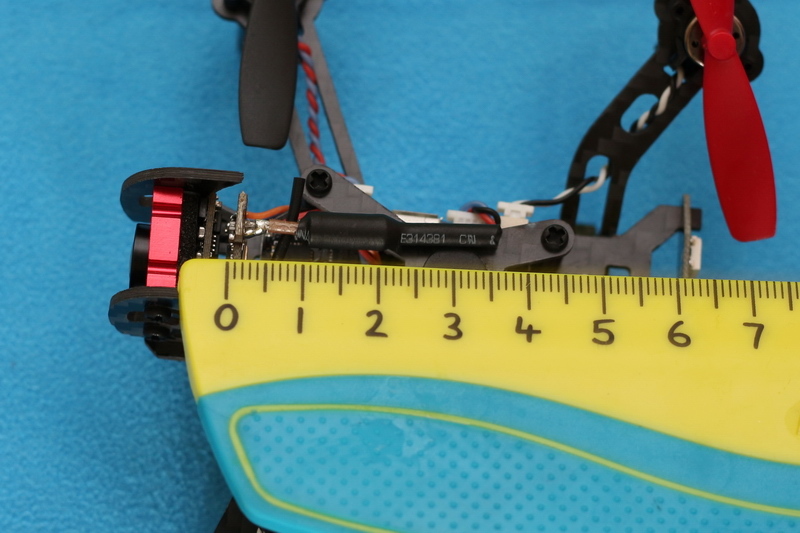 Slight adjustment of the angle of the camera is possible. 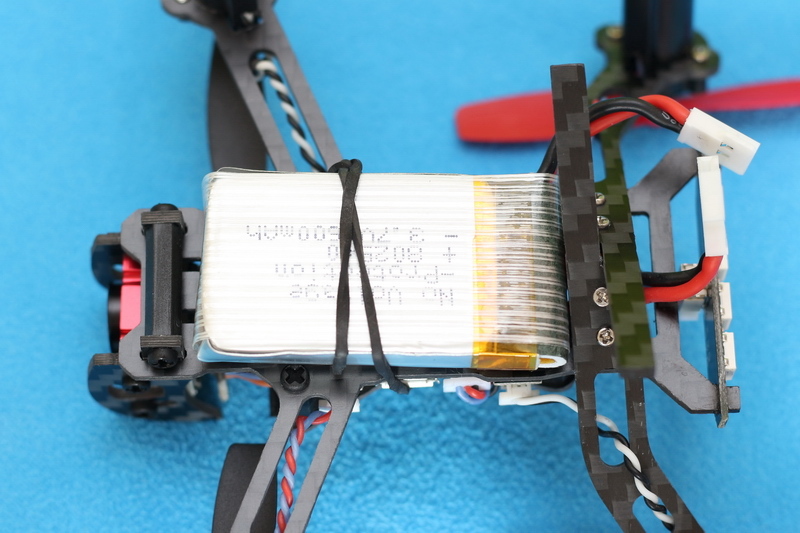 The integrated 5.8G VTX has 25mW broadcast power and total of 48 transmission channels. 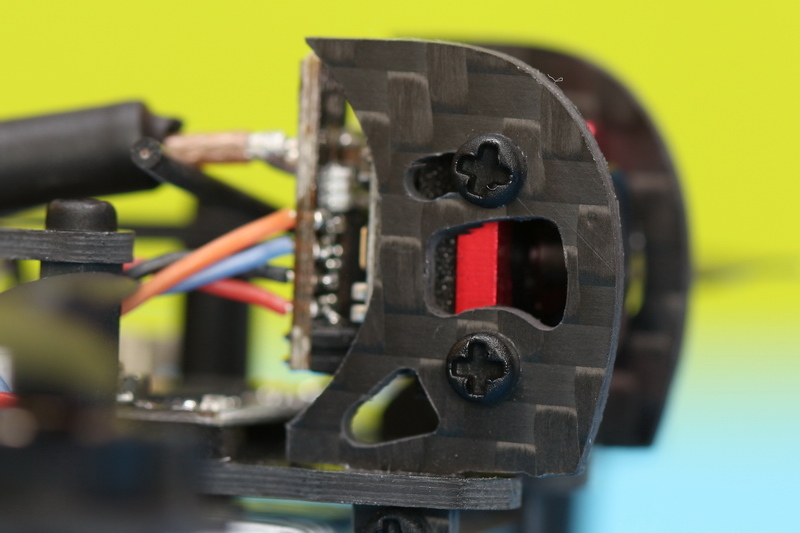 On top of the camera you can find two micro push buttons. 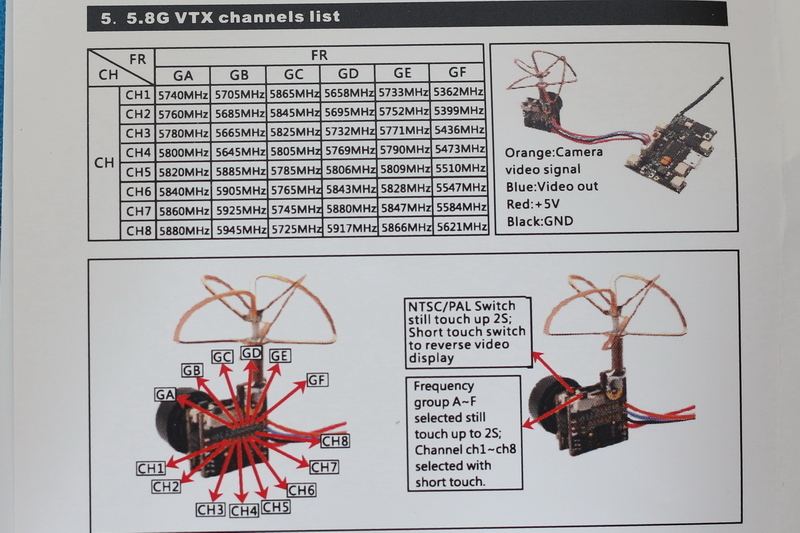 While the frontal one allows toggling between video standards (PAL/NTSC), the rear one can switch between 8 channels when is shortly pressed respectively between 6 Bands (A-F) when is longer pressed (more than 2s). 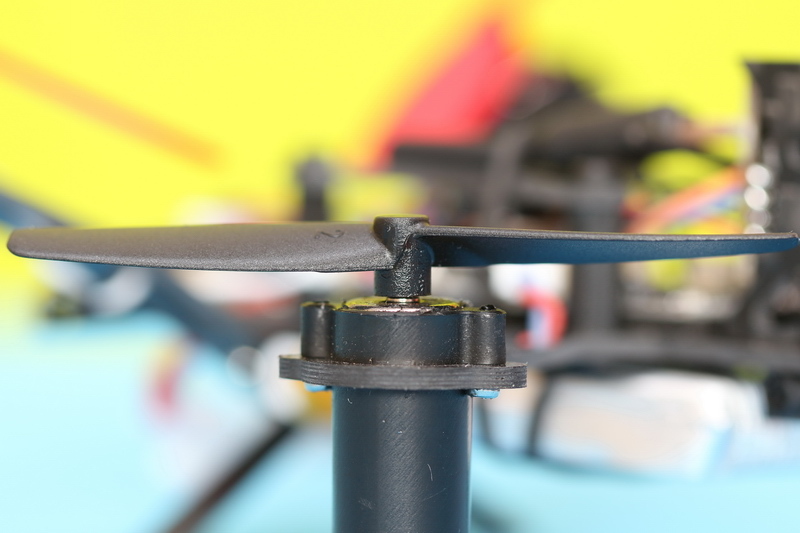 The linear 5.8G antenna is horizontally installed instead of vertically. 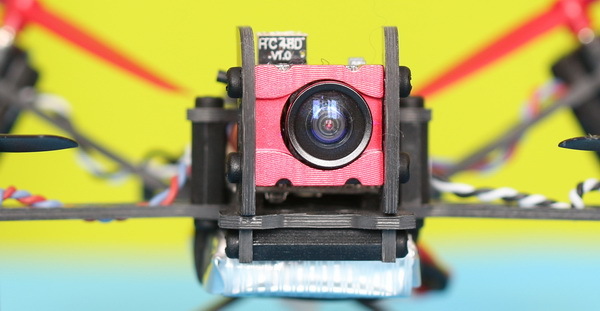 This definitely have some negative impact on the FPV range. 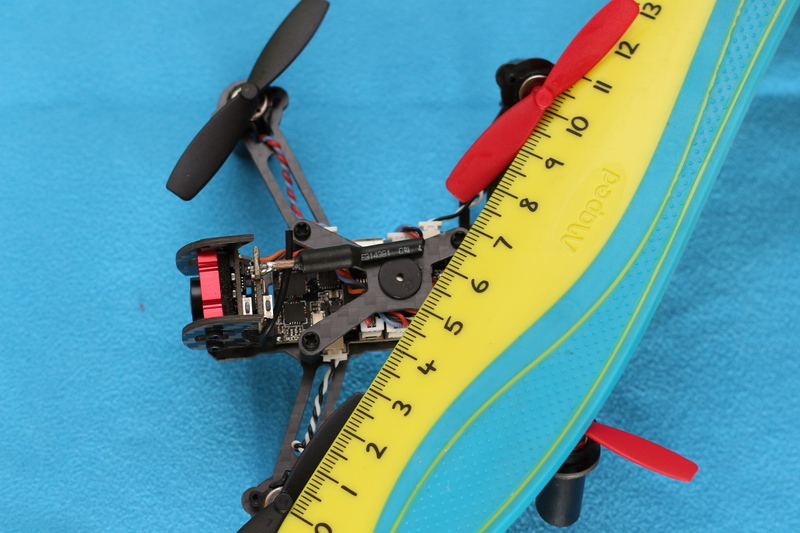 Anyway, this little bird was designed for indoor flights and proximity park flying. 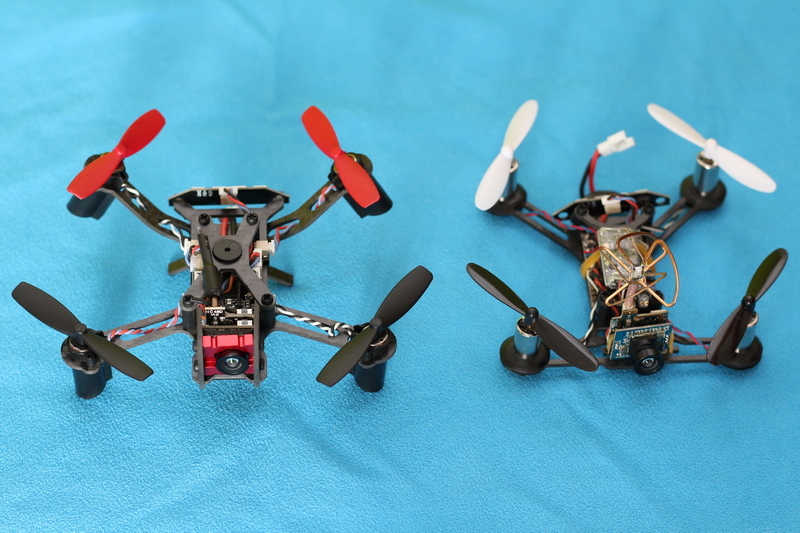 Overall, image quality is quite good (bright and vivid colors). 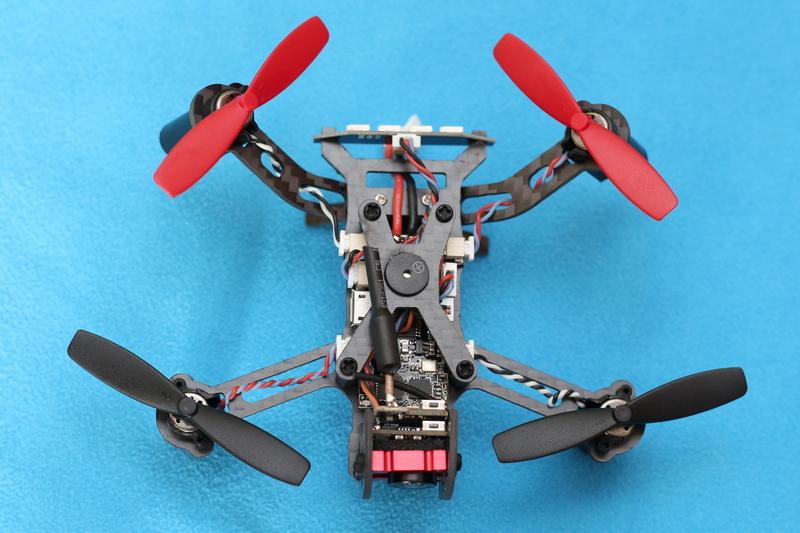 OSD is really nice. 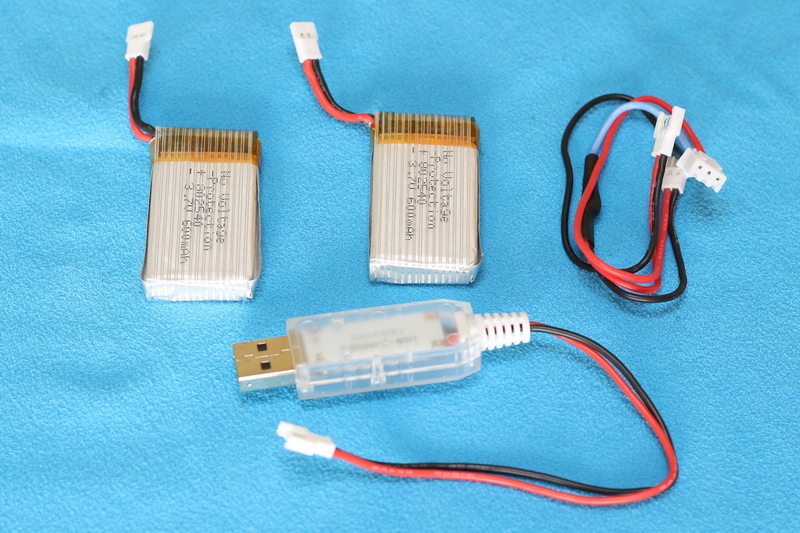 You can monitor in real-time the battery voltage, flight time, arm status, flight mode and artificial horizon. 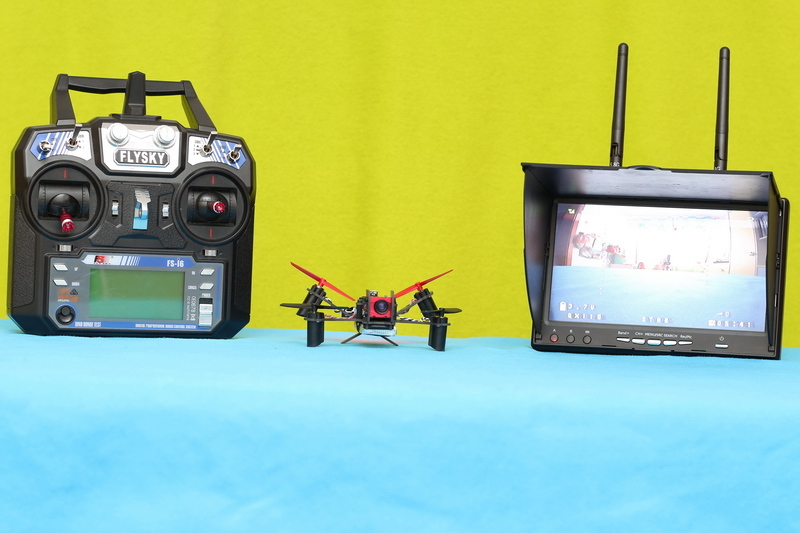 Firstly I bind my FlySky FS-i6 transmitter with the QX110. 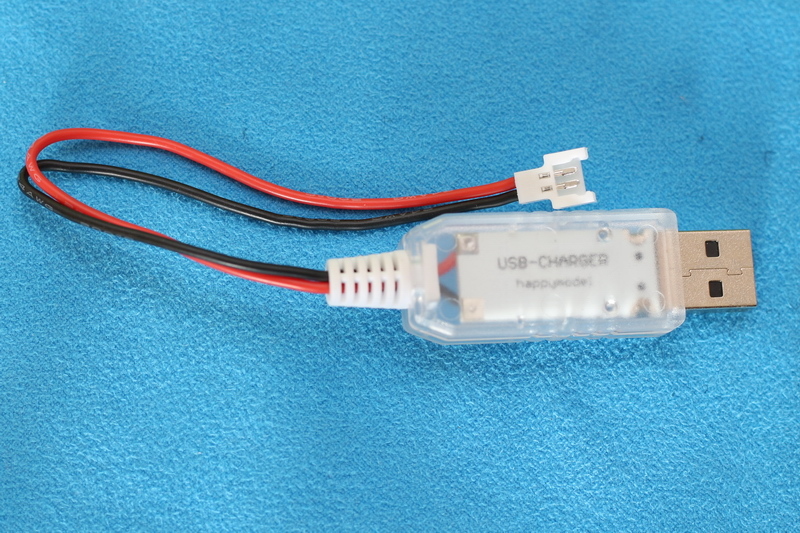 Detailed instruction can be found in the included user manual. 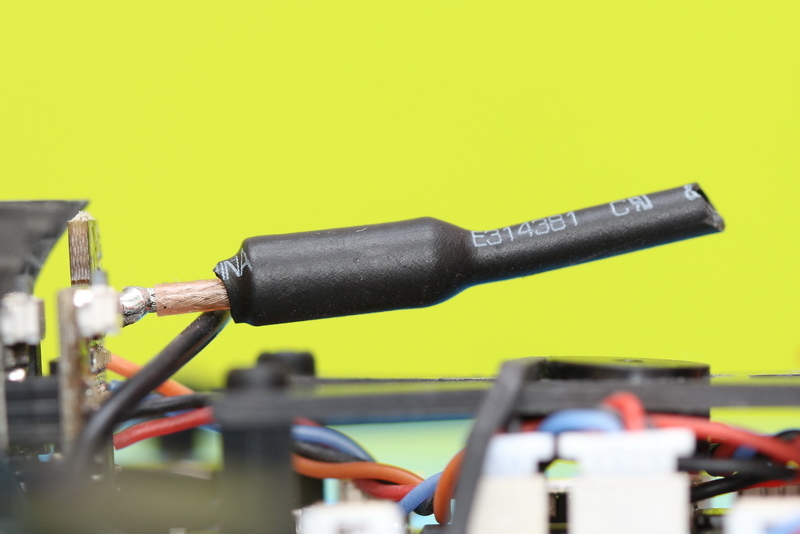 I assigned on my FS-I6 RC CH5/Aux1 to “SWA” (motor arm/disarm) and CH6/Aux2 to SWC (flight mode switch). 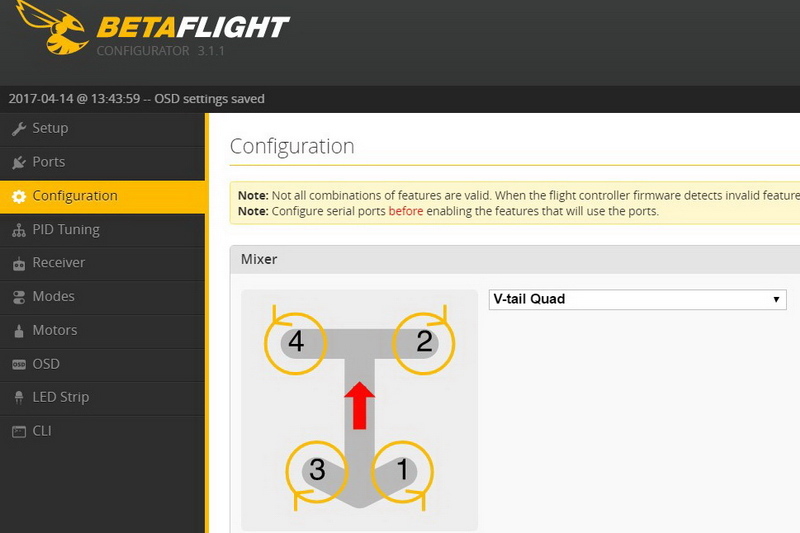 Flight modes can be assigned through BetaFlight-Configurator APP. 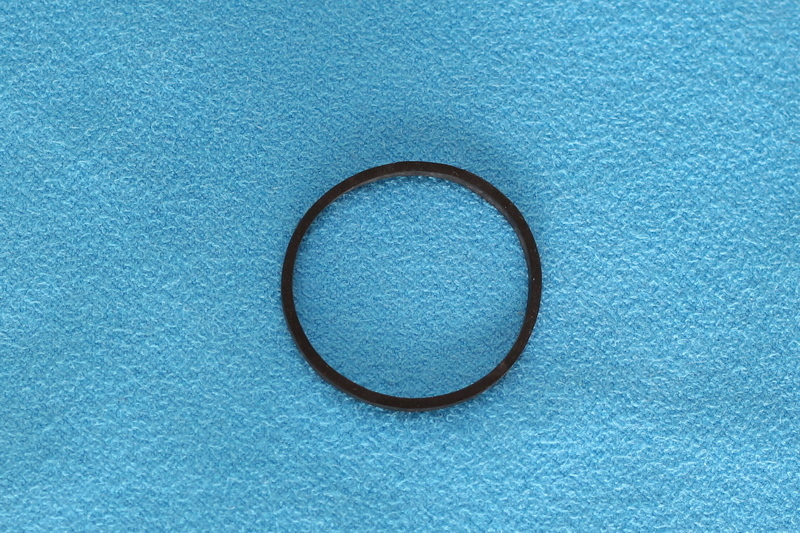 This can be downloaded from here and runs under Goggle Chrome. 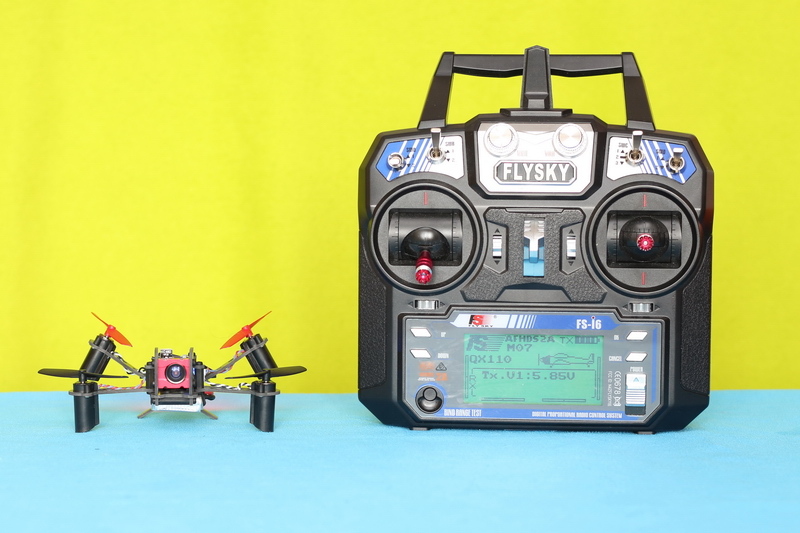 Reading SeBy’s review I found out that flying with default settings the QX110 is not too fun (lots of wobbles and bouncing). 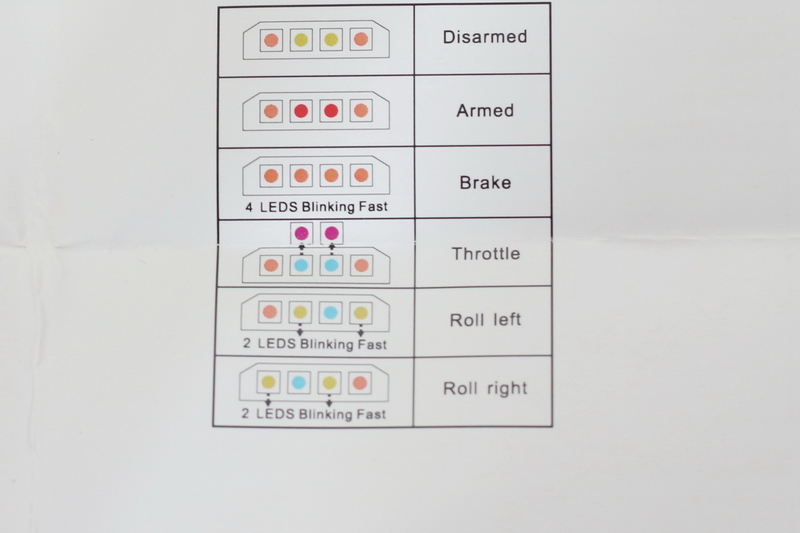 He shared its tuned settings (QX110_dump_BF_3_0_1) so I started with it. 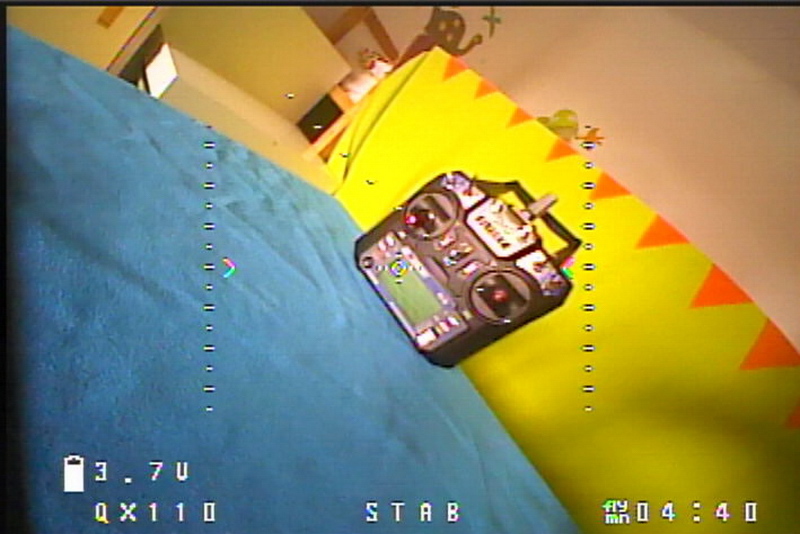 To be honest, even with these optimized settings the VTail Q110 is not the best flier. 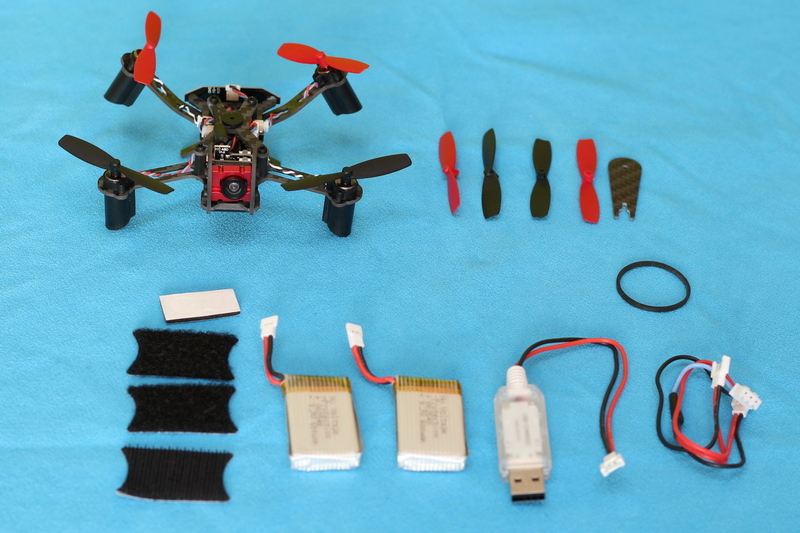 Although this Eachine quadcopter is quite fast, I had the filling that by reducing its weight it could be even faster. 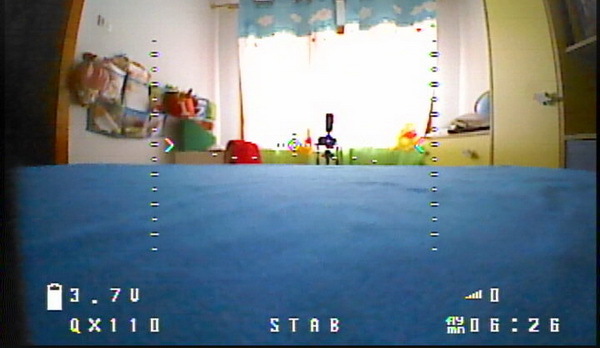 OSD is really nice, gives you the feeling that you’re a real pilot. 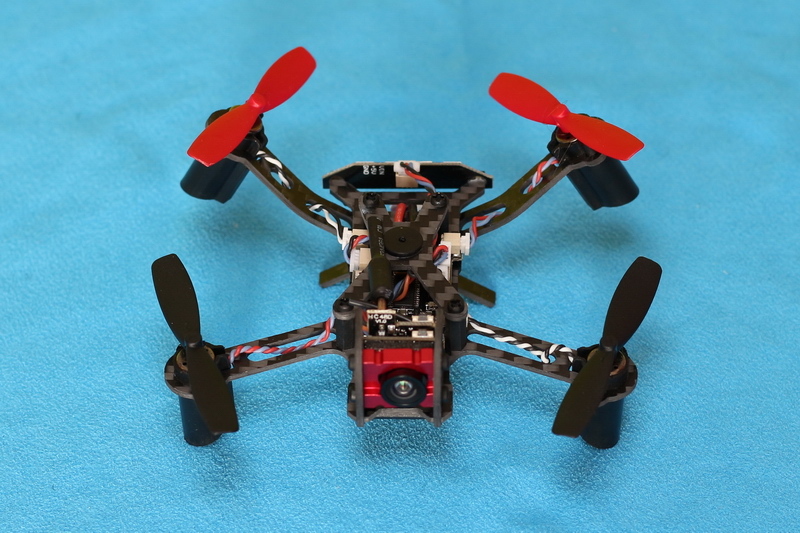 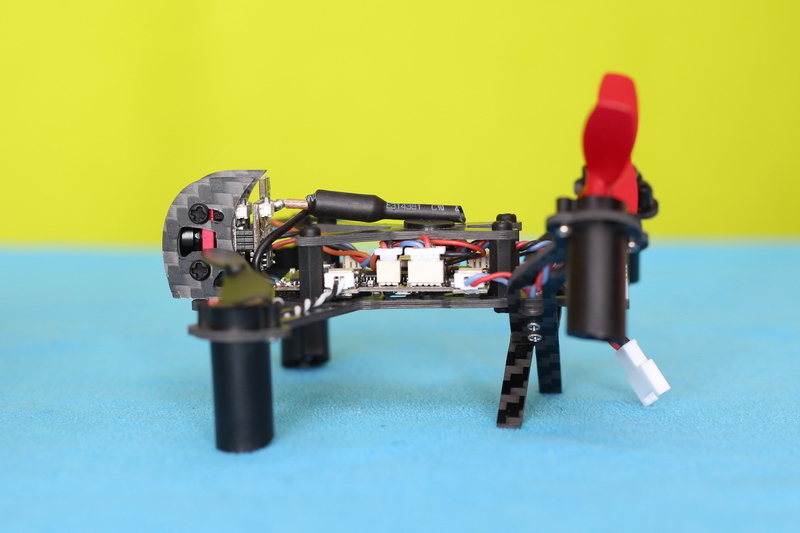 Surely this “V-Tail” drone is the most versatile model of Eachine’s QX series. 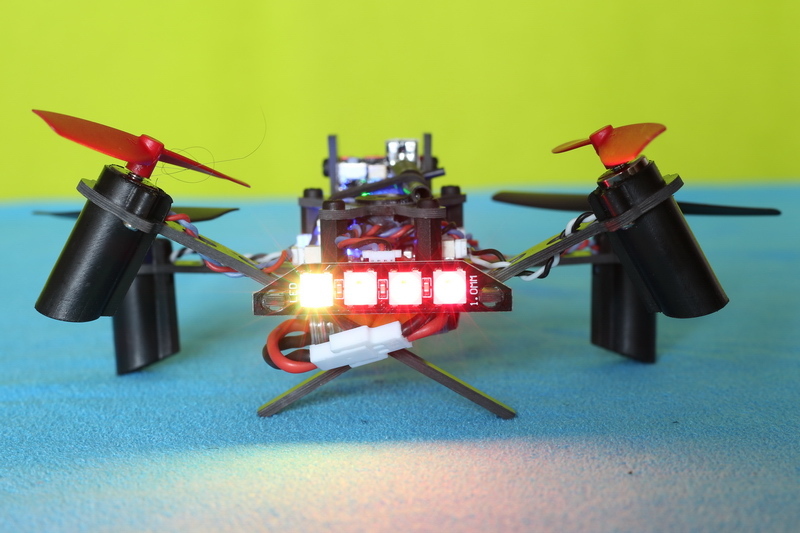 It comes with BetaflightOSD chip, buzzer and status LED bar. 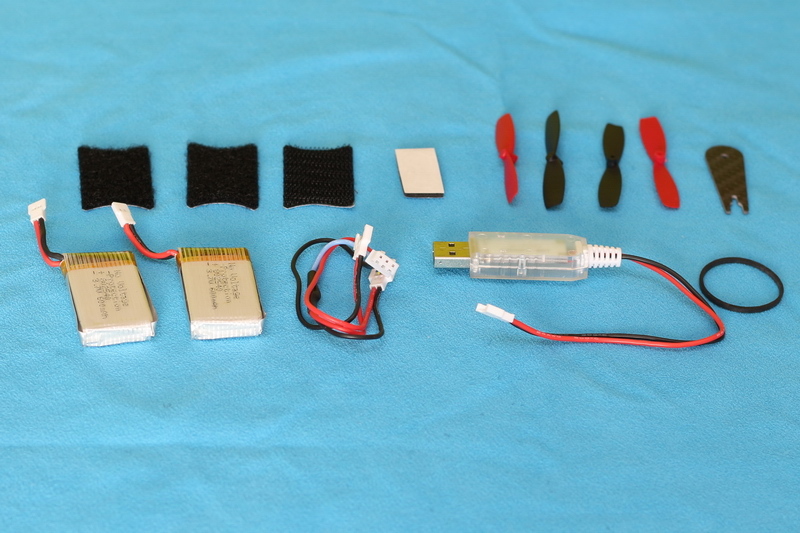 The package content is also very generous, extra battery and spare propellers are included. 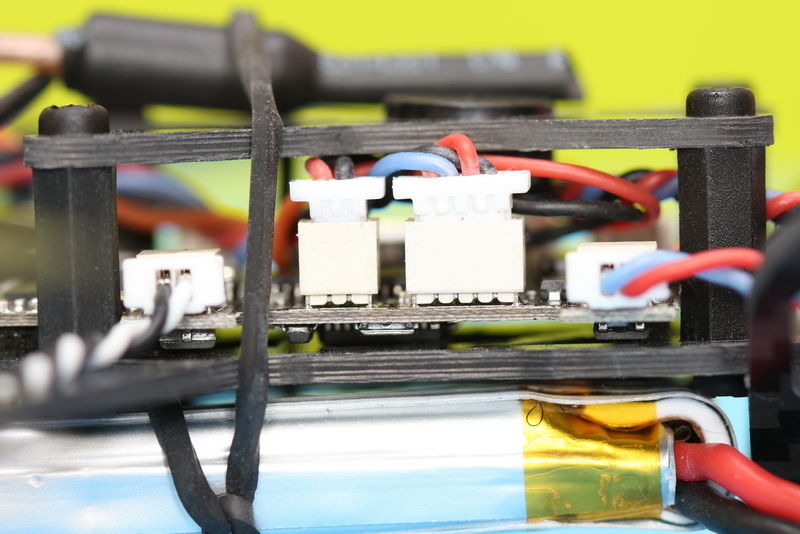 Hopefully the bad PIDs values will be solved by Eachine till mass production. 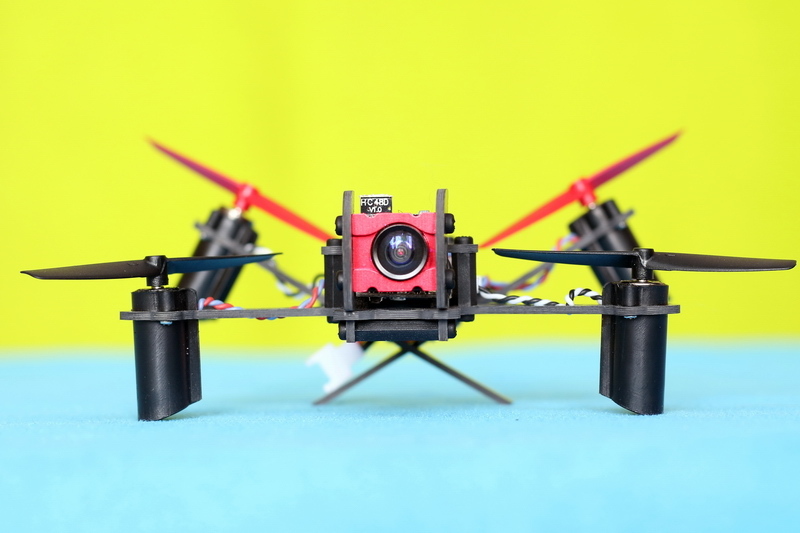 If you like the nice “V” shape design and the multitude of features, this mini QX110 quad can be found here for $69.99. 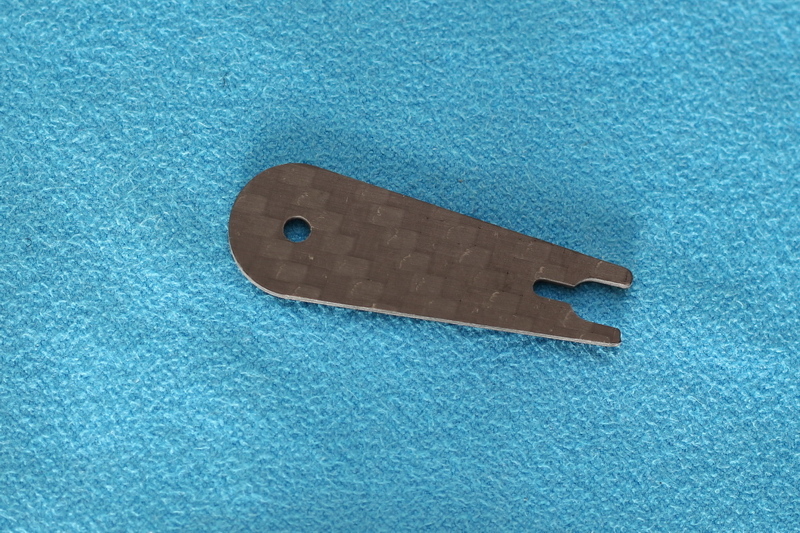 There you can find also spare parts. 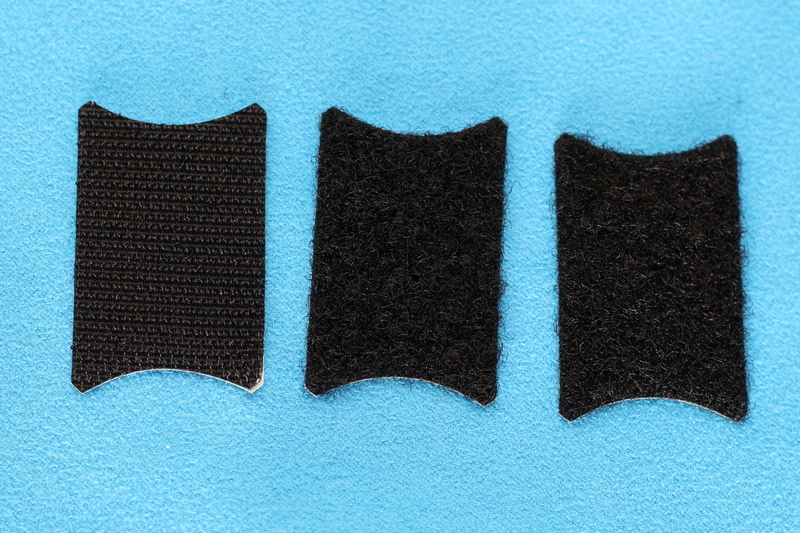 Complete set of 1.5mm 3K carbon fiber costs only $11.99. 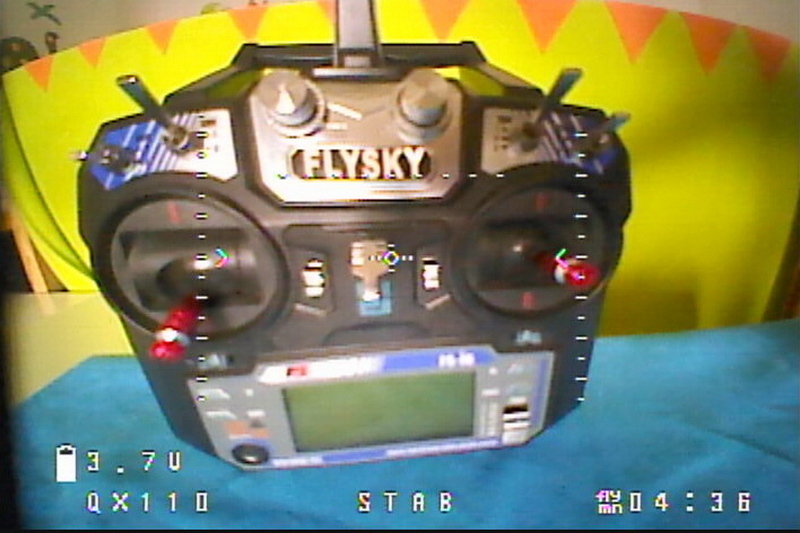 How to bind v tail qx110 in flysky i6..?? 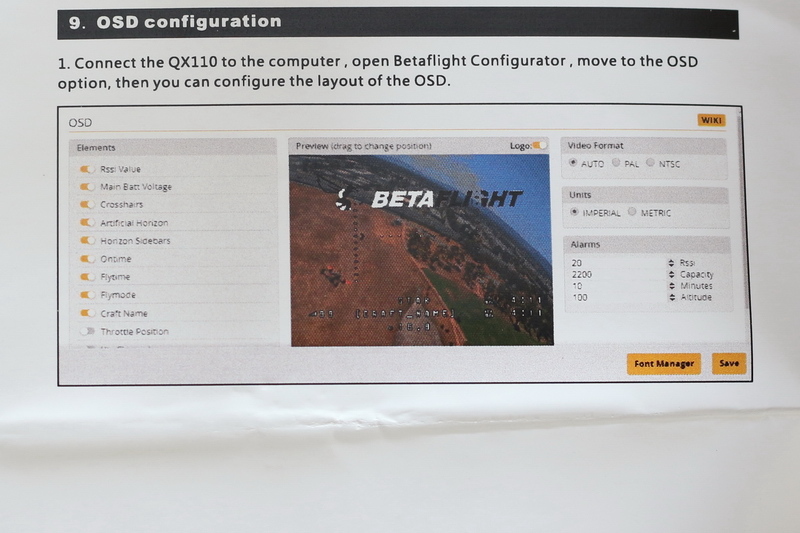 Did you tried to follow the steps described in the QX110’s user manual?